Looking for the Thomson website? Click here. Since 2002 when Thomson was acquired by Fortive Corporation, our product range has grown significantly. Our family of linear and mechanical motion products also includes BSA, Neff, Tollo, Micron, Deltran and Cleveland – all now part of Thomson. Electrak HD – Next Generation Heavy Duty Linear Actuator. Providing flexible onboard controls, superior performance, and unmatched environmental protection. The Electrak HD is a new electric linear actuator platform with onboard electronics which can eliminate the need for standalone controls. Higher power opens a new, wider range of hydraulic applications to electric conversion. And, it meets the most extreme OEM component environmental acceptance tests, including IP69K. The Super Ball Bushing Bearing has been the industry standard for self-aligning linear bearings for over twenty years. This bearing provides three times the load capacity or 27 times the travel life of conventional linear bearings. Besides the dramatic increase in load capacity, the Super Ball Bushing bearing is self-aligning, lightweight and adjustable with a low coefficient of friction. Part linear bearing, part lead screw, the Glide Screw™ from Thomson combines the best features of these products into an easy to install, one-part solution. In addition, the Glide Screw eliminates alignment issues and comes standard with Thomson’s patented Lube-for-Life technology for zero maintenance. Additional high heat, vacuum/cleanroom, and food grade configurations are available. 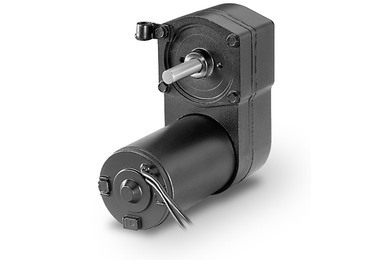 The ball screw drive is an assembly that converts rotary motion to linear motion (or vice versa). It consists of a ball screw and a ball nut packaged as an assembly with recirculating ball bearings. 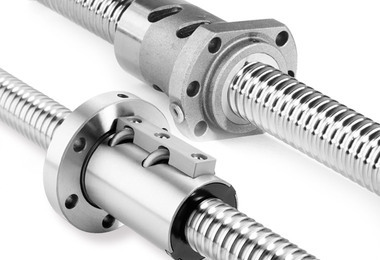 The interface between the ball screw and the nut is made by ball bearings which roll in matching ball forms. Each nut comes standard with an integral Delrin wiper to protect against chips and other debris.